Born May 9, 1950 in Bradford, she was a daughter of the late James and Marguerite "Kit" (Taylor) Bauer. She was a 1968 graduate of Bradford High School. Gayle's career started in 1972 at Crosby Dairy Products. Over her 47 years of employment she advanced to an ownership position at Crosby Dairy Products. She was also a self-employed realtor. 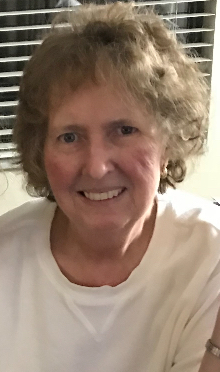 Active in her community, Gayle served as Bradford Township Supervisor for two terms, a position she held at the time of her death. She served on the Board of Directors of the SPCA for 25 years, she was a member and served on the Board of Directors of the Public Library, the Penn-Brad Oil Museum, the Landmark Society, and was a member of the Executive Board of the McKean County Republican Party. Surviving are three nieces, Kimberly (James) Durrance, of Gainsville FL, Amber (Richard) Belon, of Martins Creek, and Kathryn (Clifford) Richmond, of Gainsville FL, two nephews, Frank (Michele) Kenlon, of Ft. Myers FL, and James Kenlon, of Gainsville FL, and grand nieces and nephews, Ian, Evan, Austin Richmond, James, Ben, and Meghan Durrance, Philip Kenlon, and Katie Sobol, and her long time companion, Tom Hardy. She was preceded in death by her parents, one sister, Donna M. Kenlon, one brother-in-law, William A. Kenlon, and one nephew Thomas Alan Kenlon. Friends will be received on Friday, February 8, 2019, from 4:00pm to 7:00pm in the Hollenbeck-Cahill Funeral Homes Inc., 33 South Avenue, where a prayer service will be held on Saturday, at 9:30am followed by a Mass of Christian Burial at 10:00am in St. Bernard Church with Rev. Raymond Gramata, Pastor as Celebrant. Committal services and burial will follow in St. Bernard Cemetery. Memorials contributions if desired, may be made to the Bradford Area Public Library, 67 W. Washington Street, Bradford, PA 16701 or the Landmark Society, or the charity of the donor's choice. Tom, I am so sorry. Gayle was a wonderful person. You have my deepest sympathy for your loss and my heart goes out to your entire family. One day death will be undone and you will embrace Gayle again under better conditions. Acts 24:15 & Psalms 37:11,29. I hope these words will bring you a measure of comfort. Wishing you peace at this time. She did great service to residents of Bradford Township. Sympathy to her family and friends. I am so sorry to have lost a fellow classmate. Gail and I shared the same birthday and I always will remember that. She was a gentle soul and will be missed. Sorry Tom for your loss.